I’m not overweight. So How Can I Have Sleep Apnea? Your question is extremely relevant especially since it is estimated that close to 18 million Americans suffer from sleep apnea out of which 70% are overweight or obese. 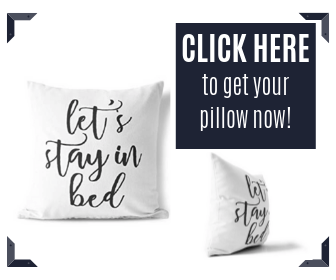 If this is indeed so, it makes sense to assess correctly, whether you are really NOT overweight or obese, more so, now that you have been diagnosed with sleep apnea. When does one become overweight or obese? Let us see how WHO or World Health Organization defines the two terms. First of all, when accumulation of excess fat in the body starts to make someone ill, the person is either overweight or obese. The two categories are demarcated by Body mass index or BMI – a simple index of body weight in relation to one’s height. It is calculated by dividing body weight( in kilograms) by the square of his height (in meters) (kg/m2). This number usually ranges between 15 and 40 where any adult with BMI below 18.5 is considered to be underweight. A very easy way to calculate your BMI is to use the Academy online calculator, which can quickly give you both your BMI as well as tell you whether you are overweight etc. I am now sure I am not overweight – so how did I get sleep apnea? Several factors lead to ob structive sleep apnea, the more common form of the illness affects close to 4% middle-aged adults in America. Amongst these, obesity contributes majorly. Now that it is confirmed that you are neither overweight nor obese, what could be the other factors that can cause this condition? Before we discuss that, let us recap what exactly happens during an apnea episode and how. 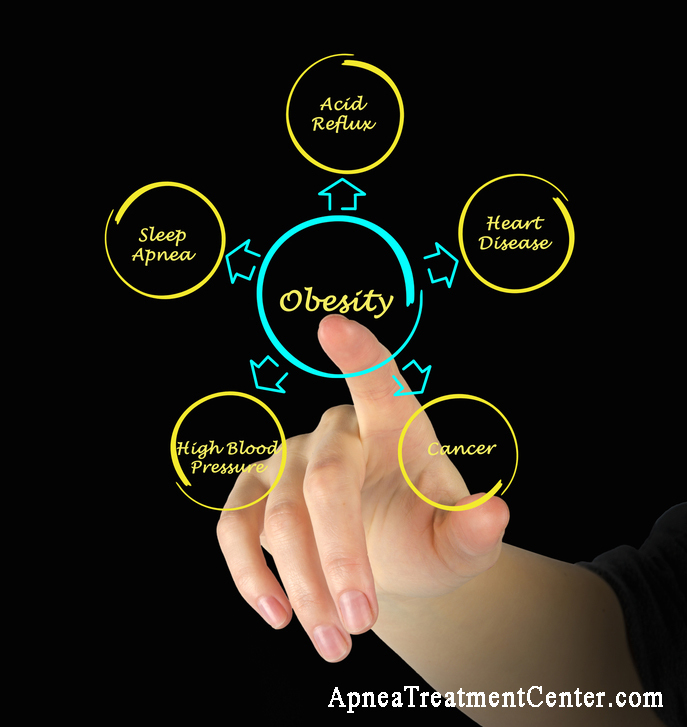 Sleep apnea essentially causes repeated breathing pauses in during sleep. The flow of air either stops or slows down because the air passage is either blocked, narrowed or has become floppy. During sleep all the muscles of the body are in a relaxed state, including those responsible for breathing. These muscles are responsible for keeping the air passage open during sleep and allow air to flow in and out of the lungs. However, when the back-throat muscles relax, it results in sleep apnea. What happens when the throat and palate muscles relax and collapse? Since these muscles support the soft palate, uvula, the tonsils and the tongue, over relaxation of these muscles may narrow or even close the air way tract, obstructing normal airflow. This causes blood oxygen desaturation which in turn can cause breathing to stop temporarily. The brain reacts instantly by disturbing sleep and triggers breathing which is usually in the form of gasping and choking during sleep. This is called an apnea episode. Other than obesity, breathing obstruction can also be caused by factors like excess tissues blocking the airway, enlarged tonsils, large tongue; defective anatomical structures of the jaw, etc. These obstructions need not always be in the respiratory tract; they may be located in nasal passage also. Here are some fa ctors excluding obesity along with underlying medical conditions and after effect of certain medications, any one of which could contribute to the onset of the illness. 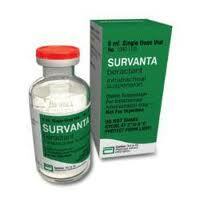 Over relaxation of throat and tongue muscles. 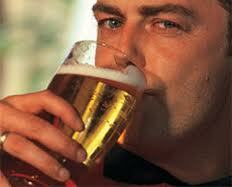 Over-relaxation of breathing muscles due to alcoholism. Anatomical defects/abnormalities including enlarged tonsils and tongue (larger in comparison to windpipe opening), enlarged adenoids, airway/ nose/throat abnormalities like septal deviation, crooked bone at nasal bridge, misaligned jaw bones, etc. Larger head and neck size narrowing the airway. Nasal blockage due to common cold, allergies, sinus infections, chronic nasal obstruction, including choanal stenosis, allergic rhinitis, nasal polyps, and rare nasal and/or pharyngeal tumors. Shape of head and neck resulting in smaller airway size in the mouth and throat. Advancing age can impede the ability of brain signals to keep the throat muscles open during sleep. This may result in the muscles narrowing or collapsing during sleep. What risk factors promote the onset? Fortunately several r isk factors that promote the onset of the condition are reversible. Other than obesity, risk factors include excessive alcohol consumption; smoking, nasal congestion, etc. 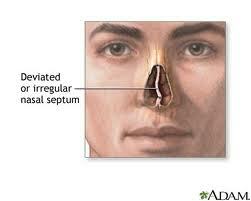 Of the many factors that cause nasal blockage, deviated septum is most common. Major inclination of the central cartilage within the nasal cavity results in snoring, which if left untreated may lead to sleep apnea. Being male, though women are at risk during estrogen depletion on menopause. 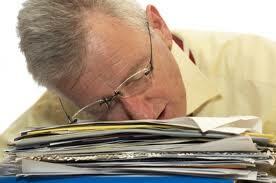 As is evident, one need not be overweight to attract a dreadful sleep disorder like sleep apnea. Be that as it may, awareness of the disease, early diagnosis and early initiation of correct treatment can often bring quick and sustainable relief to the distressful symptoms of this disorder.